So you have this master fader. It’s just sitting there begging you to do something with it, but is that really what you want to do? Maybe not. 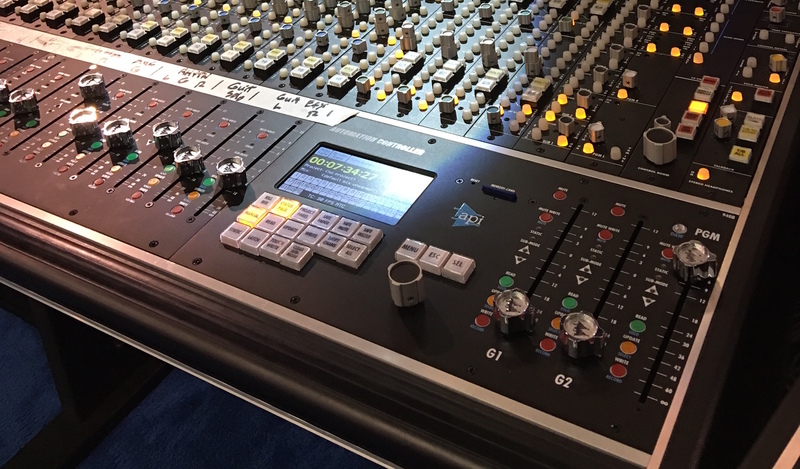 Here are some tips to think about before adding that automation to the master fader. Think about it, what are you trying to do by automating moves on the master fader? This is the first step in determining if this is the right move or not. You may be surprised if you give it some thought. This applies equally to mastering as well as mixing. So these moves are not just something that should be thought about during mixing. In this case it might not be a master fader, but just a regular fader move on a channel depending on your DAW. Ultimately though it can come down to two things, are you trying to trying to create a volume effect or are you trying to change the feeling of parts? Volume effects are what I like to call overt volume moves that are meant to be heard. The most obvious of these are fade ins and fade outs. You may also want to really bring down the volume in an intro or other part of a song in order to create a stark contrast between two parts of a song. Volume effects are the best candidate for master volume changes and automation since this is the single point at which these can be done. Feeling changes are something else entirely. Maybe you are trying to change the feeling of a song from say the verse to the chorus. Many people reach for the master fader to change the volume balance between the verse and chorus. Maybe they do this because it’s easy or maybe they do it because they don’t know better, but depending on the situation this might not be the best way to accomplish this. This isn’t just isolated to amateurs many pros do this as well. If you think about making volume changes to the master fader is only going to change the volume of the part. If you have processing on your master bus it won’t change the level going in to those processes. Say for instance you have a compressor compressing the signal on the master fader. The compressor is still going to compress the signal at the same level. If you automated the individual channels going in to the master the compressor would loosen up causing a different feel to the part. Quite often it’s these changes going in to the master fader that makes the changes we are looking for. By doing individual volume automation changes on the channels bringing down the volume in the verses will allow compression to loosen up a bit and give the part a different feel. This will also affect other types of processing like parallel processing as well allowing these to open up. In many cases this is actually the change that people are looking for, not strictly the volume change. Sure it takes more work to automate the items in to the master fader, but these are probably the droids you are looking for. There are some caveats to the individual channel vs master fader volume changes. If you have no processing on your master bus, then other than changing the balance between individual tracks it won’t have the larger impact that it would if you did have master bus processing. If you have really strong parts in a verse or there is very little dynamic change between a verse and chorus it may not have the effect you are looking for. It may feel like it steps down in the chorus instead of up since the compression will kick in harder. In these cases maybe a rebalancing my be too much work or something would be lost. Of course, maybe you just like the way the master fader automation sounds for the particular part. Here are some general rules, well not rules, more like guidelines. As with anything audio though, whatever works, works. If you are performing volume effects, use master fader automation. If you are trying to change the feeling from part to part (ie verse to chorus) use individual track automation. Give it a try. See which method works best, but don’t just grab the master fader because it’s easy. Have Fun. Posted in audio, beginner, master fader, Mastering, Tips and Tricks.